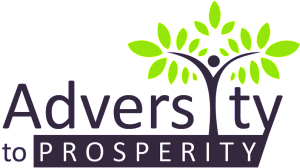 The “Prosperous” Scholarship is for Women or Men who are minorities & pursuing a career into the education field. Dr. Ramos completed six and a half years as Superintendent of Schools in Connecticut’s largest city (Bridgeport). Under his leadership, the school district and supporting community developed an aggressive strategic plan that endorsed a focused mission to graduate all students college ready and prepared to succeed in life. “EXPECT GREAT THINGS” became the district’s mantra and the Bridgeport Public Schools pursued a path to greater success which included recognition as a Broad Prize Finalist on two successive years. Since leaving Bridgeport, Dr. Ramos has served as CEO/Principal of the Middle East International School in Qatar and, most recently, Superintendent of Schools in the School District of South Orange and Maplewood, NJ. Prior to serving in Bridgeport, Dr. Ramos was Deputy Commissioner for Educational Programs and Services for the Connecticut State Department of Education. Dr. Ramos was Superintendent of the Watertown (CT) Public Schools from 2002-2004. Within the Watertown community, Dr. Ramos was labeled “The Healer” as he brought together a fractured board of education, school district and community to develop a comprehensive strategic plan. 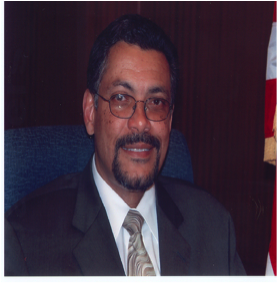 From 2000 to 2002, Dr. Ramos was Assistant Superintendent for Curriculum and Instruction for Norwalk (CT) Public Schools. From 1989 to 2000, Dr. Ramos was Principal of Norwalk High School where he was cited for his open-minded, visionary leadership by the New England Association of Schools and Colleges (NEASC). From February until October of 1999, Dr. Ramos was given a special assignment to research and create a comprehensive report outlining a process to address the achievement gap while raising the achievement levels of all students. The report was published in the April, 2002 issue of “Principal Leadership.” In addition, during this period he carried out an assignment for the Academy for Educational Development (Washington, D.C.) which provided him the opportunity to work with the South African Department of Education on post-apartheid remedies. Earlier in his career, Dr. Ramos served as the Principal/Director for the Alternative Learning Project High School (Providence, RI), Director of Minority Student Affairs for the University of Rhode Island and Program Director for the Rhode Island Department of Education. Dr. Ramos’ awards include the Lifetime Achievement Award from the University of Rhode Island, the Ethics in Education Award from the Connecticut School of Ethical Education, the Dr. Martin Luther King, Jr. International Award from the State of Israel and the Living Waters Award from the United Church of Christ, Connecticut Conference. He is a graduate of Leadership Rhode Island and the Norwalk Community Leadership Institute. Dr. Ramos received his doctorate in Educational Administration from Teachers College, Columbia University, where he has served as an adjunct professor; his M.P.A. in Public Administration from the University of Rhode Island and a bachelor’s degree in English and American Literature from Brown University. Currently, as Founder and President of the Equity and Excellence Imperative (EEI), Dr. Ramos provides consultant and interim services to educational, business and community organizations in the global marketplace. Applicants should be high school seniors and should have a minimum GPA of 2.5. Please see below for more restrictions in greater detail. Other selection criteria: Academic Achievements,Enrollment or acceptance as a full-time student at an accredited 4-year undergraduate institution located in the United States of America.